Making a telecommunication network diagram involves many specific elements of telecommunication technology that can be managed using ConceptDraw DIAGRAM. The ability to design telecommunication network diagrams quickly and easily contains in the Telecommunication Networks Diagrams solution. 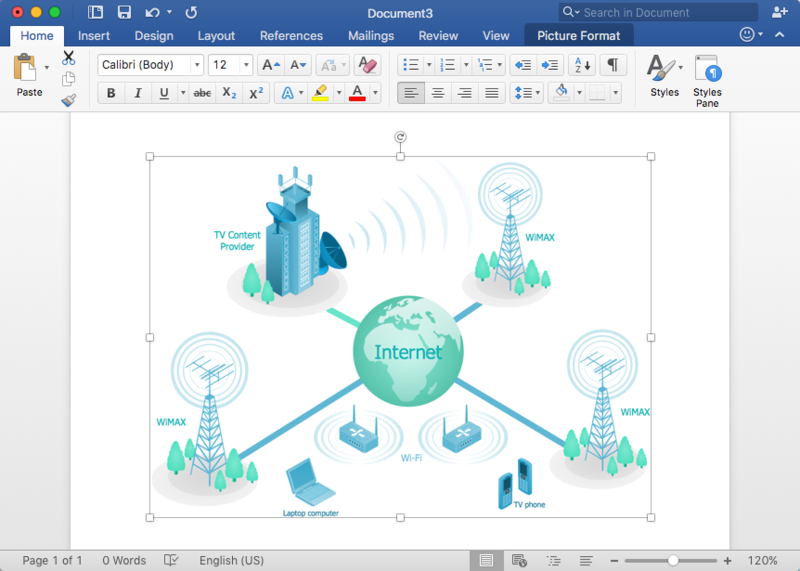 The telecom network diagram may be the part of the network documentation that should be presented as MS Word document. In this case, the best way is using the advanced copy-and-paste functionality of ConceptDraw DIAGRAM. Result: You can easily supplement any MS Word document with diagrams.